The Sedums form a diverse group of nearly 500 species and many have been developed to produce hardy and undemanding succulent perennial plants for the gardener. The group divides into two main types, the low, carpet-forming stonecrops, and the rather taller, upright ‘ice-plants’ that have whorls of larger succulent leaves on a thick, un-branched stem. All have small, star-shaped and nectar-rich flowers, and the ice-plants in particular attract lots of butterflies and bees. Most of the stonecrops are evergreen and have rich foliage colours that look good throughout the year. While the leaves of the ice-plants die back in the winter, the flowers age gracefully and the seed heads are an attractive feature in the winter garden. Sedums do well alongside each other in complementary mixed plantings, and the green, red, chocolate, purple and copper-coloured varieties can be planted to form a living tapestry across areas of thin, poor soils. With fleshy stems and leaves that store water, they are drought-tolerant and are ideal for sunny positions with freely draining, thin soils where most plants would succumb to dehydration. Both types make excellent ground cover for hot, sunny ground that is otherwise difficult to protect, though ice-plants spread slowly, so need to be established en masse for an instant effect. This article shows just how easy Sedums are to look after, and picks out just a few examples of the amazing variety that is available. There are many hundreds of varieties of Sedum available, though the range in local garden centres tends to be restricted to the most popular types. Specialist Sedum and Alpine nurseries stock many more. Here are some of the favourites. Perfect for a late summer show, with its broad, flat heads of many, tiny, deep-pink flowers contrasting against the greyish-green waxy leaves from August to October. The flowers remain attractive even as they fade to brown. Cut some heads in full bloom and hang them in a cool place to dry so that they can be used in indoor arrangements through the winter. A garden centre favourite that certainly lives up to its name, with long, prominent stamens that seem to give the bright pink flowers eyelashes. This is a 45cm tall, robust variety with stems that are less prone to drooping from the middle than some others. It has an Award of Garden Merit from the RHS. Not easy to find, but worth tracking down for its purple-leaves and dark pink flowers. The variety to choose if you are looking for a white flowered ice-plant. Blooms freely from August through September, and is as popular with the butterflies and bees as the more usual purple-flowered Sedums. A deep red, almost black variety of orpine with an RHS Award of Garden Merit. It produces masses of red flowers from August right through to the first frosts of winter and provides nectar into the autumn for red admirals, small tortoiseshells and other late butterflies in the garden. It is said to be hardy down to minus 20ºC, so should grow quite happily anywhere in the UK. A great choice that is worth searching out if you are looking for a variegated ice-plant. It grows up to 45cm tall, and has pale green leaves with creamy-yellow edges and pink flowers in August and September. Remove any stems that develop with fully green leaves to maintain the variegation. A variety developed from the native biting stonecrop, this is a low, carpet-growing perennial with evergreen yellowish-green leaves and yellow star-like flowers. It is great in rockeries and containers. This variety forms a spreading carpet of bright golden leaves, studded with masses of individual yellow star flowers from June to August. A favourite of gravel gardeners, and a good contrast to darker-leaved stonecrops in container plantings. An old favourite ground cover with crimson flowers. Plant 15cm apart to establish a rapid and very attractive ground cover on thin soils. Bred from a Japanese native, this stonecrop is a great ground cover plant, forming neat mounds about 5cm tall and expanding to about 30cm in diameter. It has a long flowering season from June through to October, with repeat showings of its bright purplish-pink flowers. Its blue-green evergreen foliage really brightens a rock garden or container. Another low-growing stonecrop variety. It has attractive yellow flowers in the summer, but it is mostly grown for its unusual chocolate-coloured foliage that looks great with other coloured stonecrops in full sunshine. Available from specialist Alpine nurseries. A fully hardy, 10cm tall, mat-forming stonecrop with toothed leaves and attractive heads of golden-yellow flowers in the summer. An excellent addition to a container, or plant it in wall niches or rock gardens. It is available from specialist Alpine nurseries in green-leaved or variegated varieties. A taller variety of stonecrop that grows up to 15cm in height, with foliage that turns reddish in the winter. It is an RHS Award of Garden Merit winner. Angelina has yellow-green foliage throughout the year, and is a good foil for purple-leaved varieties in mixed carpet plantings. This variety can be used to add even more colour variety to a mixed Sedum planting with its purple-edged, green leaves. This new plant has recently been introduced to Britain from the US. Its grey-blue foliage makes great groundcover, and it produces copious amounts of clustered, fruity-red flowers from July through to September. Stonecrops and ice-plants are great plants for difficult, dry places in the garden. Once established, they are pretty much maintenance-free, though ice-plants will benefit from being dividing every four to five years. This stimulates more flowering and produces free plants for elsewhere in the garden or to give to friends. Nearly all of the varieties require very sunny conditions, though orpine is a woodland plant that prefers some light shade. Some of the variegated varieties such as Sedum alboroseum ‘Lemonade’ will burn in full sun, so will benefit from some light shade during the hottest part of the day. Most types of Sedum are drought-tolerant and require no watering, though a few varieties of the creeping stonecrops are a little thirstier, so check the plant’s requirements with the nursery before buying a new variety for a very dry site. The ice-plants will survive dry conditions, though their growth may slow in very dry summers when occasional light watering will give them a boost. 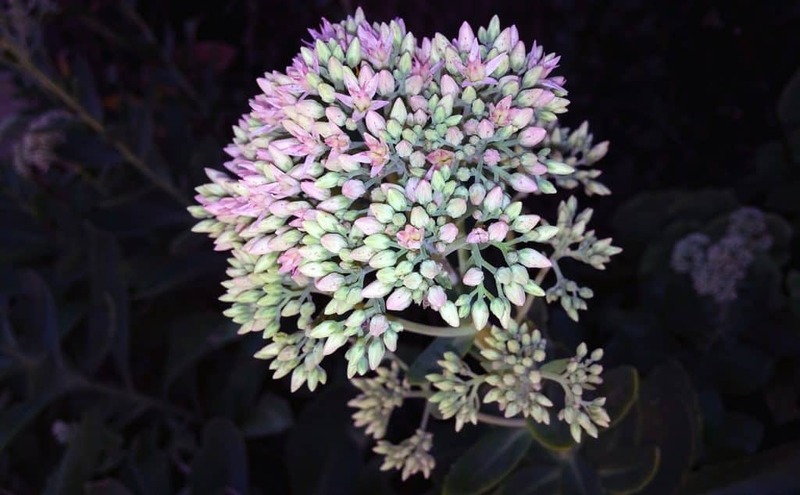 None of the Sedums should be watered in the winter as they can be prone to rot if waterlogged. Some Sedums can survive in almost no soil at all, and they should always be planted into a light and open, well-drained soil. They do not do well in heavy soils, even if plenty of grit is added before planting. Add a crushed shell, grit or pebble mulch to reflect the sun’s light back onto the plant and to keep water away from around the crown of the plant. Sedums are therefore excellent for steep, rocky slopes with little soil. Stonecrops can be planted into crevices in rocks and garden walls, and they will spread across the surface. The native Sedum acre can often seen on derelict urban sites growing on old, crumbling concrete, where it seems just as happy as it is growing in its more natural cliff-top and rocky landscape homes. Most Sedums perform well on thin, poor soils, where there is less competition from other plants, and indeed too much fertility will result in sappy plants that are reluctant to flower and can droop. 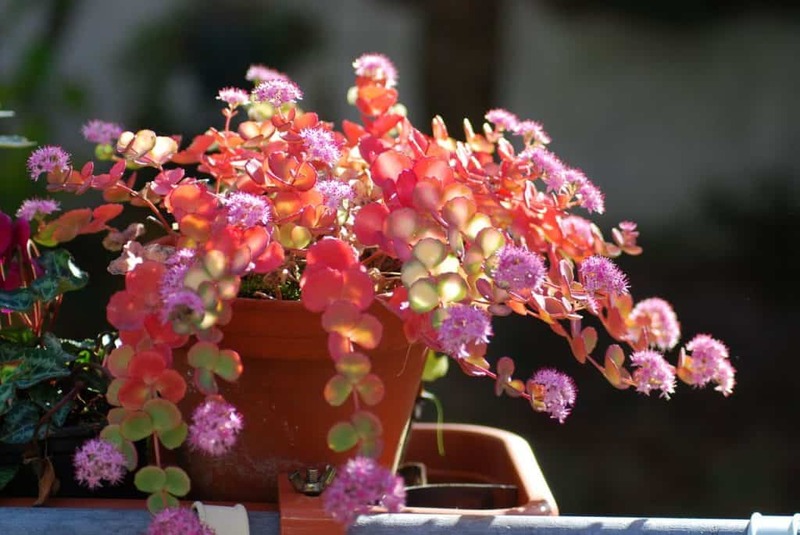 The Sedums’ requirements for well drained and nutrient-poor soil and their ability to tolerate drought makes them ideal for pots and containers. The creeping stonecrops are especially useful, forming a ground cover around taller plants in mixed plantings, and spilling over the edges to disguise the edges of the container. They are very versatile and can be grown in containers of all sorts, including stone troughs, wooden boxes, sinks, old watering cans, or even old washing up bowls or gardening boots! More traditionally, they are grown in terracotta pans with other succulents such as Crassulas and Sempervivums. Choose a pan that is at least 40cm in diameter. The depth need be no more than around 20cm, as the roots are shallow. There are few rules in choosing and establishing the plants – though it is essential that there is good drainage, with plenty of drainage holes, and the pot should be raised off the surface with feet to ensure water drains away quickly. When choosing the plants, think about combinations of height, colour and texture, and be imaginative! Consider varieties that will give some height near the middle, with creeping varieties hanging over the edge of the pan. It makes sense to select types with similar watering needs, and to focus on drought-tolerant varieties so that the compost can be allowed to dry out completely to avoid the temptation to over-water. Use a gritty compost that mimics the thin soils of mountain scree slopes. Special succulent compost can be obtained, or make an equal mix of potting compost such as John Innes No 2 with vermiculite or perlite. Make sure that the plants have a base of compost to sit on, and aim to end up with the crowns of the plants around the level of the top of the pan, so that water has no chance of collecting around them. Pans look good with a decorative surface of gravel, coloured marble chips or sea glass, so when back-filling around the plants with compost leave enough room at the top for a good dressing. Most Sedums grow naturally well spaced, so do not overcrowd or allow them to shade each other: put the plants in about 2cm apart. After planting, you can use a soft brush to remove any compost from the leaves, water well, and then just leave it to its own devices to create a beautiful feature for the patio table! Re-potting is generally unnecessary, though containers can be rejuvenated from time to time by taking out the plants, replacing the compost, and replanting with selected parts of the plants, perhaps with a couple of new varieties. Pruning is generally unnecessary and Sedums can be kept in check by cutting back creeping types at the ends, or ice-plants can be tip pruned in spring to reduce the height if needed. Even after the foliage has died back, the skeletal ice-plant flowers look attractive through the winter, and can be left until the following spring when they can be cut off to tidy the plant in preparation for welcoming the new summer’s flowers. Tall ice-plants that tend towards being straggly or seem to collapse under the weight of the flower heads generally respond well to a ‘Chelsea chop’ in May, taking a third to a half of the stem length. This looks drastic, but the plant will be stronger and more compact, and will produce a mound of fresh foliage by July and August, though flowering will be later and may be slightly reduced. It is very easy to propagate Sedums. The creeping stonecrops will often root as they creep, and it is simply a matter of finding a piece with roots, cutting it off and establishing it in a new home. Even without roots, pieces cut off the ends of the creeping stems can simply be laid onto a suitable sandy, dampened but free-draining compost in pots, or sections inserted gently into the compost surface will root very quickly. Ice-plants root easily from stems pulled away at the base, or take 7.5cm to 10cm long pieces from non-flowering stems, take off the lower leaves, and insert them gently into a fifty – fifty mix of gritty compost and horticultural sand. New plants can also be made by division of large clumps once they are four or five years old. The best time to put new plants into the garden is from mid March to April, once the danger of frost has passed, or again in September to October. However, broken stems or cuttings can generally be persuaded to root in pots in controlled conditions at any time of the year. The crowns of ice-plants grown in heavier soils or less well-drained situations are prone to rot in the winter, though adding plenty of grit may help. Plants with soft, sappy stems and leaves are probably in soil that is too fertile, and oversupplied with nitrogen. Older specimens of the taller ice-plants may start to die-back from the middle of the clump, becoming straggly as the remaining stems begin to flop outwards. If this happens, provide unobtrusive staking or supports, and make a note to split that clump the following spring. If a more drastic solution is needed, take the plant out and replace it with one of the more recent varieties that does not suffer the issue as readily – ‘Purple Emperor’, for example, is not prone to sagging and can be happily left to make large clumps. Sedums are pretty bullet-proof and seldom suffer any damage from diseases or pests. Watch out for aphids, though they are rarely a cause for concern for healthy plants growing in their ideal conditions. Slugs and snails are occasionally a problem, but the most likely pest is the vine weevil. The weevil’s larvae chew around stem bases just below the soil and feed on roots, which slows the plant’s growth, then causes wilting and eventually collapse and death. Plants in container are particularly vulnerable. Never put a new, pot-grown Sedum in the garden until it has been knocked gently out of its container and examined for the characteristic gaps in the root ball. Indeed, this is a check worth carrying out at the garden centre before you even buy the plant – and if there is an infestation, take your business elsewhere! If your plants do suffer an outbreak of vine weevil, targeted biological control using nematodes can be used to avoid adverse effects on beneficial insects. It is an effective organic solution and completely safe for pets, children and wildlife. Water the nematode product into the compost in the late summer, and ensure that the compost is kept at 5ºC to 21ºC and well drained to encourage a healthy population of nematodes to establish. Q I have heard something about buildings with Sedum roofs – are these anything to do with Sedum plants? What do an Aldi supermarket in Guildford, BMW’s Rolls-Royce assembly centre in the South Downs National Park and the Peter Lanyon Building on the Tremough Campus of the Combined Universities of Cornwall have in common? They all have green roofs, planted with vegetation in a growing medium over a waterproofing membrane. Sedum is the most popular choice for planting up these ‘living’ roofs, as it can be difficult to irrigate or maintain them once complete, and the stonecrops thrive on rainfall alone, maintain a complete cover, and generally look after themselves once established. 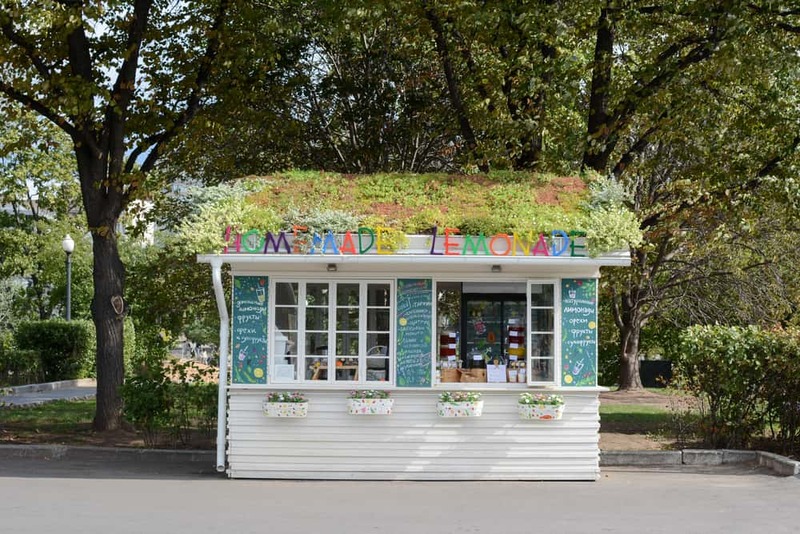 You might not want to tackle your house roof, but it is possible to go green and add a Sedum roof to a garden room, garden or shed, especially if upstairs windows look down on it – the Sedum cover will make it look more like an extension of the garden than a bare metal or felt surface. However, you will want to take some professional advice to make sure the structure is robust enough to take the weight before starting the project. Green roofs can help with sustainable drainage, provide additional insulation to the building, mitigate the urban ‘heat island’ effect, absorb carbon dioxide, provide nectar for insects and provide habitat for wildlife more generally. Pre-grown carpets of Sedum mixtures are available, which can be laid rather like turf, and are likely to include hardy, drought-tolerant varieties such as Sedum acre, S. album, S. hispanicum and S. relaxum, but establishing your own planting scheme would be much more fun! Q There are some very pretty yellow stonecrops growing in an old quarry near where I live – can I use these in the garden? There are a number of native Sedum species in Europe. Most are stonecrops that thrive on the thin soils of sandy and rocky areas, including old quarries and abandoned urban sites. Sedum acre and Sedum album are two of the commonest in the UK, and the yellow species that you have seen is almost certainly the former. They may not have the year-round interest of some of the horticultural varieties, but they will grow very well in the garden and in containers given the correct conditions. They are easy to propagate by taking an informal cutting, and transporting the piece home in sealed plastic bag. You should get permission from the landowner first to stay within the law. Please do not take orpine (Hylotelephium telephium) from the wild. This native species is a relative of the ice-plants and it is a rather rare wildflower these days. Plenty of cultivated varieties are available from nurseries. Q I am developing a small ‘tropical’ garden and wondered if I can use ice-plants in my design. Ice-plants are great for adding colour and texture to planting on and around the patio, and ‘tropical-looking’ beds are popular. Try using Sedum spectabile to mark the edge between the patio surface and a border, and stonecrops in the gaps between paving in less well trodden parts. In the tropical border itself, try the architectural Hylotelephium telephium ‘Matrona’. It has an upright form and large, purple-tinged leaves. The flat horizontal planes formed by its pale pink flower heads harmonise well with the bold vertical lines of plants such as Irises and strap-leaved, tropical-looking plants like Cordylines. Q I have planted some stonecrop on my rock garden and it is spreading quite quickly. I am worried it will smother some of the more delicate Alpine plants that are already there. The stonecrop is unlikely to affect established plants. Stonecrops will form a mat, but they are ground-hugging, so tend to grow around established plants rather than causing any problems by scrambling up or through them. Keep an eye on the situation, and the stonecrop can be very easily trimmed back if you feel there is going to be an impact on a particularly delicate or low plant.